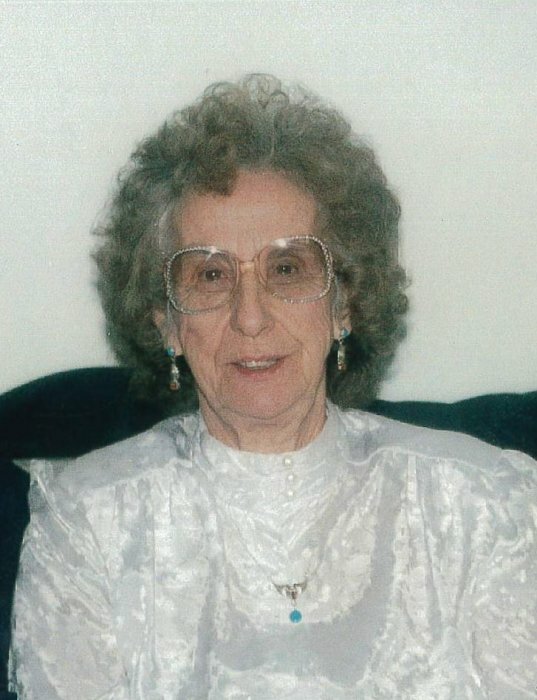 Nellie O. Fisher, 96, of Bunker Hill, IL, died at St. Francis Hospital, Litchfield, IL on Tuesday, March 12, 2019 at 9:15 pm. She was born February 11, 1923, in Hamburg, IL to George Howland & Artie (Schlieper). She was a homemaker. She enjoyed quilting. Nellie was a member of the Woodburn Bible Church. She is survived by her children, Diana (James) Mowrey of Godfrey, IL, Terry Hartmann of Palmyra, IN, Loretta Simons of Shipman, IL, George (Brenda) Hartmann of Galeton, TN, Donna Bangert of Dorchester, IL, grandchildren, Cindy, Dana, Scott, Stanley, Mike, Mindy, Kim, Ruby, Terry Jr., Annette, Jason, Nichole, Jeremy, Danny, Justin, Rachel, Matthew, 28 great grandchildren, 27 great great grandchildren, siblings, William Howland, Willean Benz, several step children, several step grandchildren, several step great grandchildren, several step great great grandchildren, and several nieces and nephews. Nellie was preceded in death by her parents, first husband, Delbert Hyman, second husband, Monie "Ben" Hartmann, son, Paul David Hyman, grandson, Monie E. Hartmann, 2 brothers and 4 sisters. Friends may call on Thursday, March 21, 2019 at Kravanya Funeral Home in Bunker Hill, IL from 10:00 am until 12:00 pm. Funeral services are Thursday, March 21, 2019 at 12:00 PM at Kravanya Funeral Home, Bunker Hill, IL with Pastor John Shelton officiating. Burial will be at Upper Alton Cemetery, Alton, IL. Memorials are suggested to Kravanya Funeral Home. Anyone wishing to send an online condolence may do so at www.kravanyafuneral.com. Kravanya Funeral Home, Bunker Hill, IL is in charge of the arrangements.